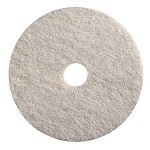 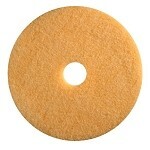 Burnishing pads for light scuff removal to renewing that wet-look finish. 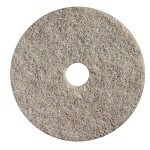 Norton floor pads are engineered with fibers that are durable enough to clean and use again, yet resilient enough to conform to the floor surface for better coverage. This pad to floor coverage equates to less labor time and overall performance use of the pad. 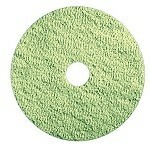 These pads help to prolong re-coating applications and maintain a high facility image. 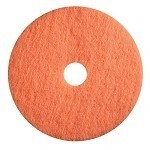 Soft binders combined with fine fibers create the highest gloss of any pad on the market. 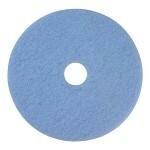 Use on machines 1500-2000 RPM on soft to medium finishes.